I need a elegant Logo for a School Enrichment program. Please dont use cartoon art like books,numbers,letters ect. 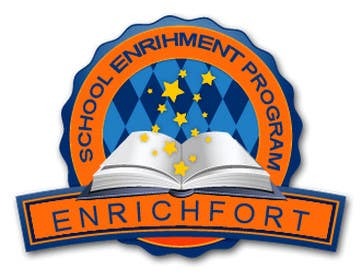 The name of the program is ( ENRICHFORT ) it's the Standford of kids programs. I want a >logo< not the Name of the program. I want a unique logo.